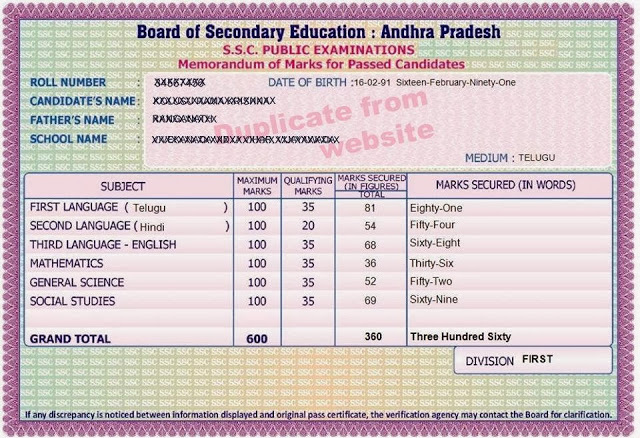 AP SSC Certificate Online Download / 10th class duplicate certificate Marks List / Memo Download at www.bseap.org: Andhra Pradesh state secondary school certificate SSC duplicate marks memo can be downloaded from BSEAP website. 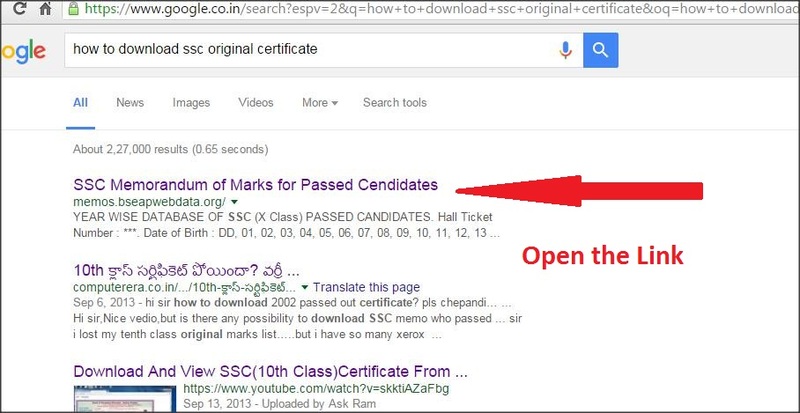 If any candidate unfortunately loss their original certificate or certificate stolen by anybody or damaged or soiled because of any reason they can now download the duplicate one from the BSEAP – Board of Secondary education in Andhra Pradesh website.SSC examination were conducted by State board. More information about how to download and print the SSC certificate is prescribed under in this website. About SSC / 10th class Examination: SSC is known as State secondary certificate and is also termed as X class. This examination is conducted every year by BSEAP organization. This is basic education certificate for any candidate willing to pursue higher studies. To get the original certificate if it was damaged, candidate has to pay the amount and full fill the details, and then required to send the application form to the concerned authority. But now candidates can use online data base facility to get theSSC duplicate certificate. It can be obtained quickly compared to previous procedure. From this year onwards the details will be placed in the data base of BSEAP website. The procedure to download the duplicate memo will be prescribed under. రక్తంలో మీ హీమోగ్లోబిన్ స్థాయి పెంచడం ఎలా? I got it....thank you...is there anyway to download intermediate marks memo? 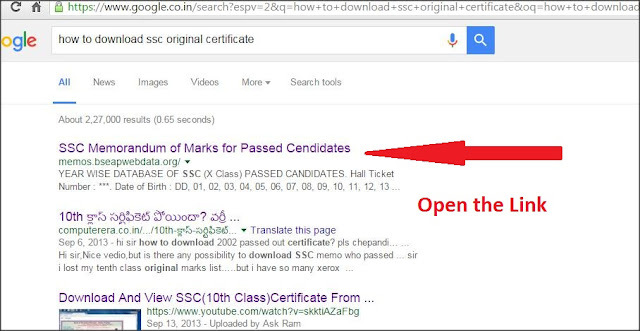 how to get 2003 10th certificate..?? I am a 2002 SSC passed out student and trying to download it, but the option of June 2002 is not available. It only shows since June 2004. Can you please help me in getting my copy of June 2002.
is this valid for govt jobs ? Yes how to get 2001 marks memo.plz suggest Mme . there is any SSC board branches in Visakhapatnam?